Mali's Minister of Energy and Water, Sambou Wagué, recently launched the Hybrid Rural Electrification Systems (HRS) project. It will cover 50 localities in this West African country. The Hybrid Rural Electrification Systems (HRS) project is now being launched in Mali. This kick-off was orchestrated by the Minister of Energy and Water, Sambou Wagué in Naréna in the Kangaba circle in the south of the country. The ceremony was attended by local authorities and representatives of several development partners, including the World Bank. It is therefore in Naréna that the very first hybrid power plant of the Sher project will be built. The installation will provide energy during the day through solar panels. At night, a diesel generator will take over. The project is coordinated by the Malian Agency for the Development of Domestic Energy and Rural Electrification (Amader). It works to provide energy to 50 localities, including seven in the Koulikoro region, five in the Ségou region, 26 in the Kayes region, seven in the Sikasso region, and five in the Mopti region. In a village like Naréna, the project should make it possible to make 300 connections and it will take a year to complete the work. The Sher project aims to “increase the rate of access to modern energy services in rural areas” and to increase electricity production from renewable sources. It also aims to increase the production capacity of power plants in rural areas through off grids. In some cases, these systems will add 4.8 MWp to existing plants. The implementation of the Sher project requires an investment of more than 49 million euros and is supported by several development partners. The International Development Association (IDA) has pledged almost €15 million to the project. 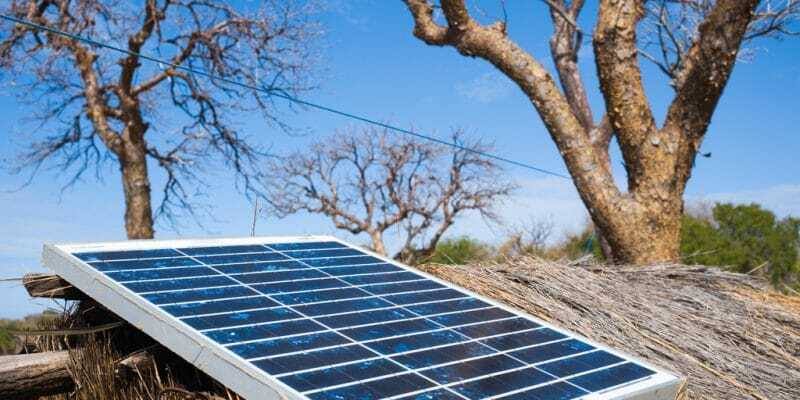 The Global Results-Based Aid Partnership (GPOBA) will invest $5 million, as will the Large Scale Renewable Energy Development Programme for Low Income Countries (SREP). The latter will finance the project with €13 million. All these investments are administered by the World Bank.